At ACR Commercial Roofing, we recommend every business owner to arrange a time to get a couple roof inspections for your commercial building every year. 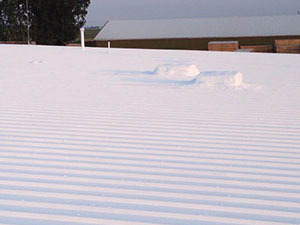 Even if there are no visible issues on your commercial roof, they can go undetected easily. 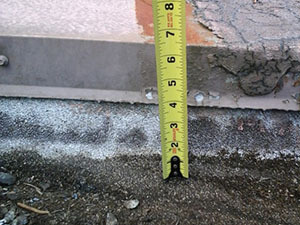 Eventually, these issues can cause a lot of damage to your commercial roof and building. However, with normal roof inspections, ACR Commercial Roofing will keep track of these problems or issues that can eventually turn up. To learn more information about our commercial roof inspections in Lubbock, TX, you can reach us at (806)-712-8162. Taking cautious procedures is a great way to save money on your commercial roof. Commercial roof inspections fall in this category easily. 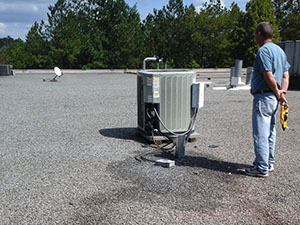 Regular roof inspections for your commercial roof can prevent many major issues from arising. This makes for inexpensive repairs, timelier roofing services, and a longer lasting roof. 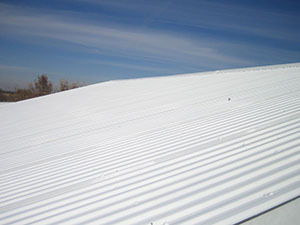 ACR Commercial Roofing can make custom maintenance plans that fit your roofs needs. Our custom-made maintenance plans can possibly double the lifespan of your commercial roof. Fully replacing your roof can get very expensive and could possibly disrupt your business, so the longer you keep your existing roof in good condition, the better. Why Choose ACR Commercial Roofing? With our 20+ years of experience in our industry, we are fully qualified to not just inspect your commercial roof, but to also offer you with any services that follow. From small repairs to a roof replacement, we do it all. We have a great reputation for having high-quality professionalism and craftsmanship. As you roof begins to get older, leaks will become a common occurrence. 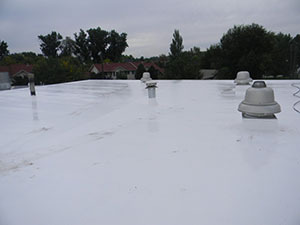 By restoring your commercial roof, you can make your roof be as leak-free as it was when it was first installed. This is an option that helps you save money because restoring your commercial roof is cheaper and a lot easier than frequently repairing or replacing your commercial roof. Another option is coating your roof. 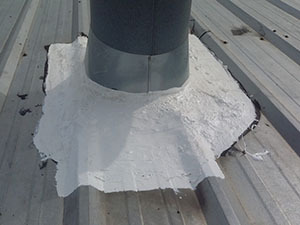 A roof coating will help your commercial building be more energy-efficient. You reach us at (806)-712-8162 to get a free onsite roof inspection. Our team full of professionals will be glad to provide you with answers to any questions you have. What would you say to a commercial roof system that is lightweight, extremely durable, easy to apply, efficient, low maintenance, and easy to install? If you’re like many of our customers, you’ll want to know more. ACR Commercial Roofing specializes in spray polyurethane foam roofing – installation, repair, restoration, and replacement. Spray foam roofing is a great way to quickly and easily seal cracks, insulate, and rejuvenate your existing roof, since it can be applied over any existing roof in good condition. At ACR, we’ve been installing and maintaining high-quality foam roofs throughout Lubbock, TX, and the surrounding communities for well over 20 years. Call us today at (806) 712-8162 to learn more! The experts at ACR Commercial Roofing understand that the roofing solution you invest in is only as good as the materials that go into it. 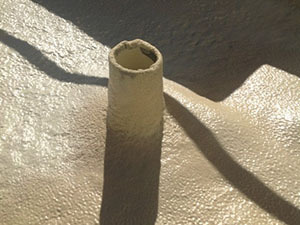 That is why we pledge to use the best materials with every foam roof we install. We use premium products manufactured by industry leader Conklin when it comes to our spray foam roofs. 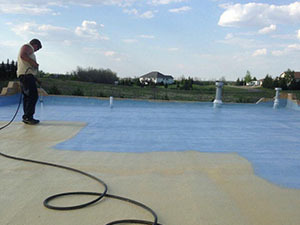 A Conklin foam roof involves combining multiple chemicals in a liquid form and spraying it out through a special gun in even layers to cover your rooftop. The foam rapidly expands up to 20-30 times to create a seamless barrier across your roof. Conklin’s closed-cell polyurethane foam meets or exceeds Factory Mutual and Underwriters’ Laboratories standards. Furthermore, studies show that with proper maintenance, Conklin’s foam roof system can pay for itself via energy savings in just 7 years. To top it off, our spray foam products come with optional, non-prorated warranties that covers 100% of labor and materials for up to 20 years. To learn more about how ACR’s spray foam roofing systems outperform the competition, contact us today at (806) 712-8162. Reinforces Structure – Adds strength to your building structure; spray foam roofing can hold up to 40 pounds per square inch! Spray foam roofing is a great option for business owners or building managers looking for a new, low maintenance, energy efficient commercial roofing system. 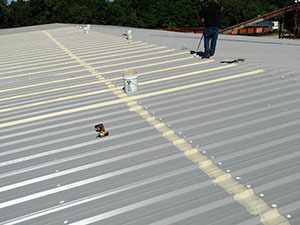 ACR Commercial Roofing offers foam roof installation and related services such as repairs, maintenance, restoration, and more. Call us today at (806) 712-8162 to learn more about how we can turn your old, leaky, inefficient roof into an energy-saving “cool roof” with spray foam. ACR Commercial Roofing is Brownfield, Texas’s premier commercial roofing company, combining the best service with the best roofers and the best products in the industry to bring you the best roofing solutions available today. At ACR, we pledge to listen carefully and respond quickly and professionally. We commit to employ the most knowledgeable and skilled contractors, and we promise to use the highest quality materials, so you get a roof that is taken care of right the first time. As your go-to commercial roofing company, ACR is standing by and ready to help at (806) 712-8162. ACR Commercial Roofing specializes in offering comprehensive industrial and commercial roofing solutions. That means we are a one-stop shop for all your roofing needs – no need to outsource certain portions of a project to other contractors or businesses. We have everything you need right here. 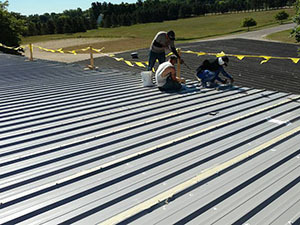 We provide these services for the full range of commercial roofing systems: flat roofs, metal roofs, rubber roofs, PVC and TPO (single-ply) roofs, spray foam roofs, and much more. ACR Commercial Roofing serves Brownfield, Texas, and the surrounding communities of Pampa, Amarillo, Plainview, Wichita Falls, Dallas-Fort Worth Metroplex, Lubbock, Midland, Abilene, Odessa, El Paso, and San Angelo. For more than 20 years, we’ve been building our business with superior customer service, world-class craftsmanship, and long-lasting results that hold up and perform, year after year. Our founder, Kerry Ammons, began in the insurance restoration industry and has 20+ years of roofing industry experience, giving ACR Commercial Roofing a strong foundation in modern roofing systems, damage repair, and reliable, durable solutions, from simple repairs to full-scale restoration. ACR is a licensed, bonded, insured commercial roofing company. Our roofers aren’t unskilled seasonal or day laborers. When you hire ACR Commercial Roofing to inspect, repair, restore, or replace your roof, you can rest easy knowing you’re being taken care of by factory-trained and certified roofing technicians. Contact ACR Commercial Roofing today at (806) 712-8162 to speak with one of our friendly, knowledgeable customer service representatives and schedule your no-cost, on-site professional roof evaluation.